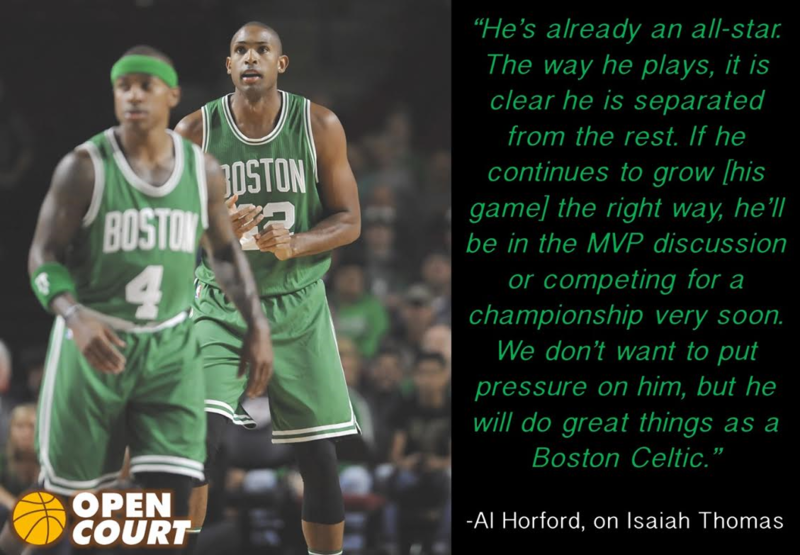 Boston Celtics center Al Horford has very strong expectations for teammate Isaiah Thomas. Thomas—who is having his best season yet—has quickly become a marquee point guard in the NBA and has made a name for himself as Boston’s franchise player. Standing just 5-foot-9, Al Horford anticipates Thomas to become the league’s shortest ever Most Valuable Player, as well as an NBA champion and an all-star in the near future. Horford, a four-time all-star who signed with the Celtics in the summer of 2016 to “bring a championship back to Boston,” feels having Isaiah Thomas alongside him gives Boston a strong chance to win their first championship since 2008. “He’s already an All-Star,” Horford declared in an interview with Mikey Domagala of OpenCourt-Basketball.com. “The way he plays, it is clear he is separated from the rest. If he continues to grow [his game] the right way, he’ll be in the MVP discussion or competing for a championship very soon. We don’t want to put pressure on him, but he will do great things as a Boston Celtic,” Horford concluded. Isaiah Thomas continues to impress on a nightly basis, leading Boston to a 26-15 record good for third place in the Eastern Conference. Thomas currently leads the NBA in 4th quarter scoring, dominating with 10.1 final quarter points per game—a scoring output that hasn’t been accomplished in 20 years. His 28.4 points per game not only leads his entire conference, but is tied with James Harden for third overall in the entire league. How can you not love this guy? 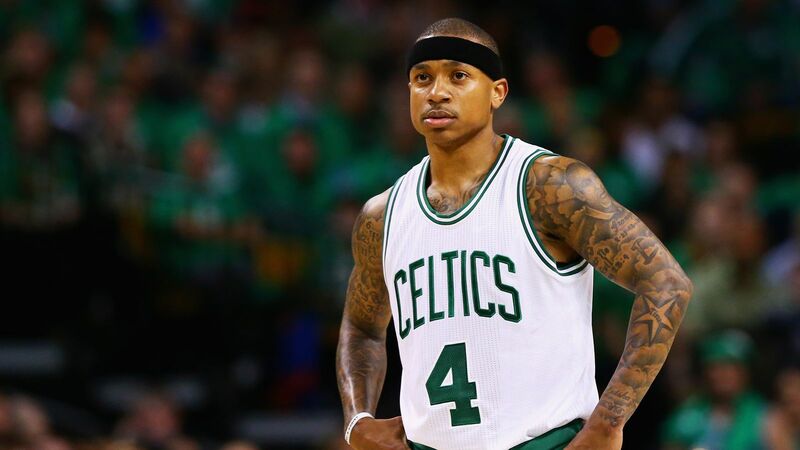 More than a foot smaller than some of his opposition, Isaiah Thomas is fearless. The sky’s the limit for the little giant who’s playhouse is in TD Garden.